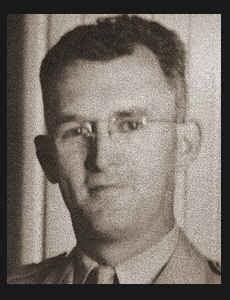 1st Lt. Durwood F. Mathis, son of Mr. and Mrs. H.F. Mathis, graduated from Okla. Univ. ; husband of the former Alene McClure. Entered Air Corps in 1942, trained in Miami Beach, Fla.; served in the Philippines, Okinawa and Japan where he is now on duty.